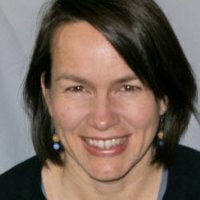 According to World Bank, almost $600B in funds were sent across borders through international remittances, and US was one of the most significant sources of outgoing funds. According to an Aite study, only about 7% of that is through digital transactions. The processes to send money overseas, has been well established for decades with only a few well established names to turn to for international remittances. As a highly regulated industry, it comes with high costs to the consumer, slow and sometimes unpredictable delivery times, little transparency to the status of funds and slow if any innovation to the process… that is until recently. The innovation we’ve seen in the financial industry has also impacted the international money movement space, an area ripe for disruption– start-ups have stepped in to help customers looking for a quick, low-cost solutions, providing transparency to the status of their money. How are these startups addressing the needs of consumers sending money abroad? Will they eventually displace the established money transfers operators? How are virtual currencies influencing the industry? How does the blockchain fit into the mix? What will the industry look like 20 years from now? These are just some of the many challenges and opportunities that we will delve into at this panel discussion. We’ll welcome your questions as well. Spread the word! We are looking to build support for more events in the East Bay. BART Riders the event is 3 blocks from the 19th St BART Station. 19th street, between Harrison and Webster. Daniel Ayala, Executive Vice President at Wells Fargo Bank, N.A. 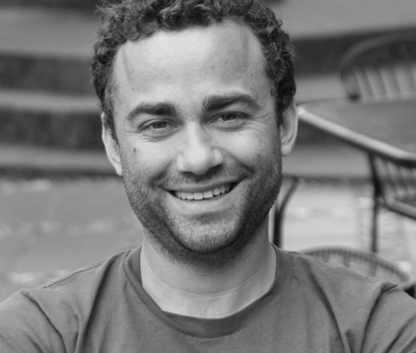 Matt Oppenheimer is the co-founder and CEO of Remitly, whose customers transfer more than $1 billion annually. Remitly is disrupting the $588 billion remittance industry with its mobile-first money transfer service that is easy, affordable and secure. To date, Remitly has raised more than $60 million from leading venture capital firms. The inspiration behind Remitly came when Matt was working for Barclays in Kenya and saw how difficult it was to send and receive money overseas. Matt was drawn to the global impact his business could have: remittances eclipse foreign aid in improving global wealth equality and give people who receive them upward mobility. He began working on the problem immediately as an Entrepreneur in Residence at Highway 12 Ventures in Idaho and launched the company from Techstars in Seattle. Matt was named EY Entrepreneur of the Year 2016 in the Pacific Northwest and has been recognized as a Puget Sound Business Journal 40 Under 40 honoree for his work with Remitly. He holds a MBA from Harvard Business School and a bachelor’s degree in psychology from Dartmouth College. Daniel Ayala is Executive Vice President and business unit manager for Wells Fargo’s Global Remittance Services group. He manages product development, product management, operations and customer service for Wells Fargo’s consumer remittance service activities. Ayala and his team manage the Wells Fargo ExpressSend service and other products focused on consumer remittances to Asia and Latin America. Ayala is a global payments systems expert with more than 20 years of related consumer and wholesale banking experience. Previously, he has been responsible for corporate and financial institutions treasury management activities focused on product management, marketing and sales management for Citibank, JP Morgan Chase and Bank of America. Over the past thirteen years, Ayala has emerged as a renowned consumer remittances expert and has been widely recognized as a key industry leader by regulators, the media and academia. 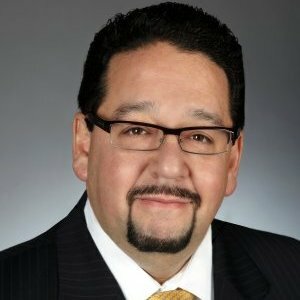 He is a founding senior leader for Wells Fargo’s Latino team member resource group “Amigos”. He has represented various lines of business in the Corporate Diversity Council. Ayala has also represented Wells Fargo in various non for profit organizations, including most recently, the Tomas Rivera Policy Institute (TRPI) in Los Angeles, CA and La Clinica de La Raza in Oakland, CA. In 2013, Ayala became a member of the Community Bankers Association (CBA) – Graduate School of Retail Banking Management School faculty. He earned a bachelor’s degree in computer science from DePaul University in Chicago, Illinois and an MBA from Nova Southeastern University in Fort Lauderdale, Florida. Ayala is a Certified Cash Manager (CCM) with the Association for Financial Professionals. He is a graduate member of the Wells Fargo Diversified Products Management Development program. He is also a graduate of the Graduate School of Retail Bank Management – Class of 2010. He co-invented the Global Remittance Platform which was granted US Patent protection in 2013. Ayala has traveled to more than 46 countries around the world and in the past, he has lived in Bogotá, Colombia; Caracas, Venezuela; Chicago, Illinois; and Miami, Florida. He currently lives in the San Francisco Bay Area in California. 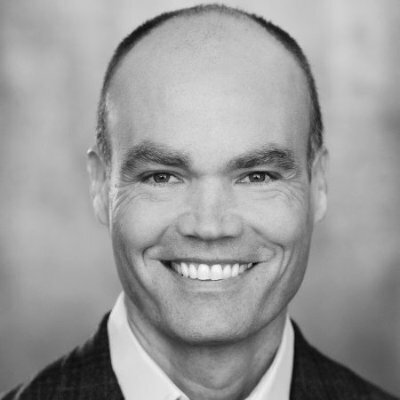 Craig McDonald has been a leader in payments and payments technology for more than 15 years. He has held executive roles in several fin-tech companies with successful exits including to Intel and MoneyGram. Craig is currently Vice President at MoneyGram. At MoneyGram Craig leads the Banking Solutions group which contributes roughly 1/3 of EBITDA and works with financial institutions to bring innovative, technology-led payments solutions to market. Craig resides in the San Francisco Bay Area. Marcia Klingensmith has been with Wells Fargo for 4 years, and is a business strategy, product development and innovation senior product manager on the Business Direct Credit Card and Line of Credit team. As a change agent, Marcia has a passion for emerging payments, an area that has seen a lot of transformation in the last 10 years. She co-founded payCLT payments professional group in Charlotte, NC and is an active volunteer with the Bay Pay Forum.